Achieve a new measure of solar-control performance with award-winning Solarban® 90 glass by Vitro Architectural Glass (formerly PPG Glass). Recipient of an R&D 100 Award from R&D Magazine, Solarban 90 Glass is the first product to feature Vitro Glass’s proprietary 'quad-silver' coating technology. Its exceptional solar-control performance means architects can specify larger expanses of glass to connect people to the outdoor environment. Solarban 90 glass allows facilities reduce cooling costs while minimizing artificial lighting requirements and the need for external shading devices. 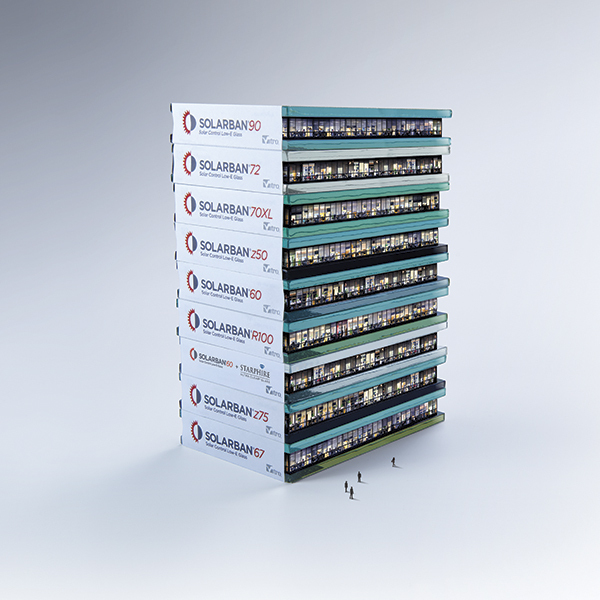 Solarban 90 glass was created with input from architects to fulfill their requests for a clear, neutrally reflective architectural glass that delivers enhanced solar control. Combined with clear glass in a standard 25-mm (1-in.) 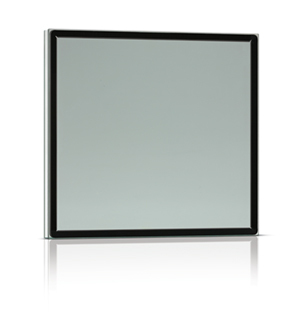 insulating glass unit (IGU), it has a solar heat gain coefficient (SHGC) of 0.23, visible light transmittance (VLT) of 51 percent, and a light-to-solar-gain (LSG) ratio of 2.22. Interior and exterior reflectance rates are 12 percent and 19 percent, respectively. When specifying electrified hardware for an access control system, there is often confusion about which code requirements to follow and which system components are needed. 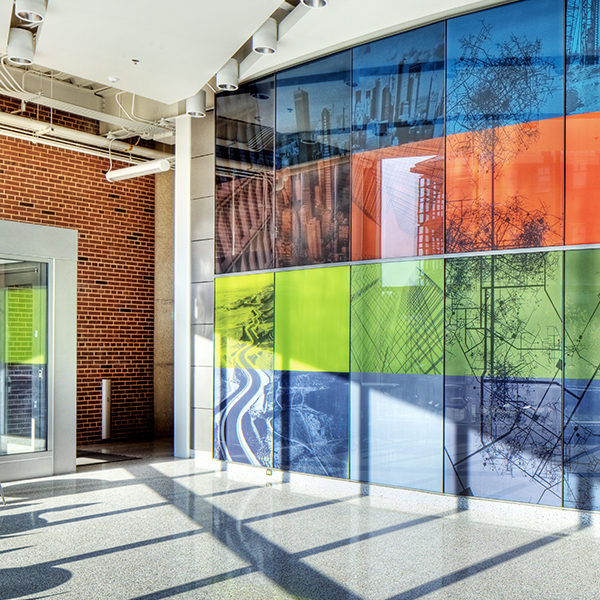 Window film can play a key role in improving any building’s performance, whether it is a new construction or a retrofit project. To help overcome concerns about adoption of new technology, a full-scale mockup of a high thermally performing curtain wall incorporating architectural insulation modules was recently successfully tested by an independent third-party. Built on a desirable, but long-vacant parcel of land in downtown Chicago, 150 North Riverside has been hailed as one of the most spectacular engineering feats in the Windy City’s history. Design/construction professionals are faced with evolving requirements that couple the demands for environmental separation and access control, while still maintaining fire protection and emergency egress for building occupants.